This is fascinating Thalia. I used to talk to you on Soul Foods and had wondered where you’d got to. So good to make contact again. I’m really fascinated with the processes you have outlined here and would love to know more. 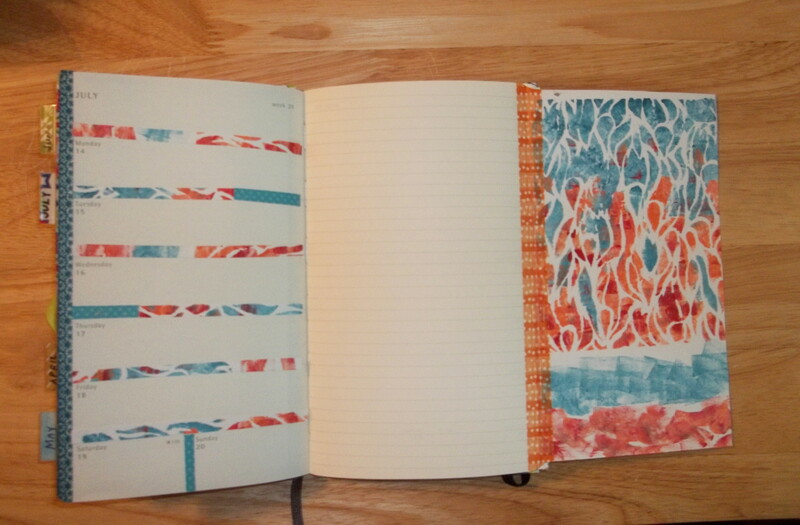 I make hand made books but they lie around with blank pages as I can’t figure out how to take the next step. I don’t want to fill them up with trivia but want to make pages that reflect my inner journey. I’ll follow up on some of the sites you have mentioned and see where it takes it me – thanks for the inspiration. Your hand made books sound like the perfect place to document your journey. Let me know how it goes. Glad to re-connect again. 🙂 I’ve started following your blog so I’ll keep in touch. I look forward to seeing what you produce next. Thanks, Imogen. Appreciate the comment. I’ve just signed up to the academy – not that I haven’t already got enough to be doing but I can’t resist temptation! I have the Soul Collage book but somehow it didn’t click enough with me to follow it up but I loved looking at the artwork people created. I’d love to know where they find all their wonderful images ’cause I never found the like in any junk mail I got. 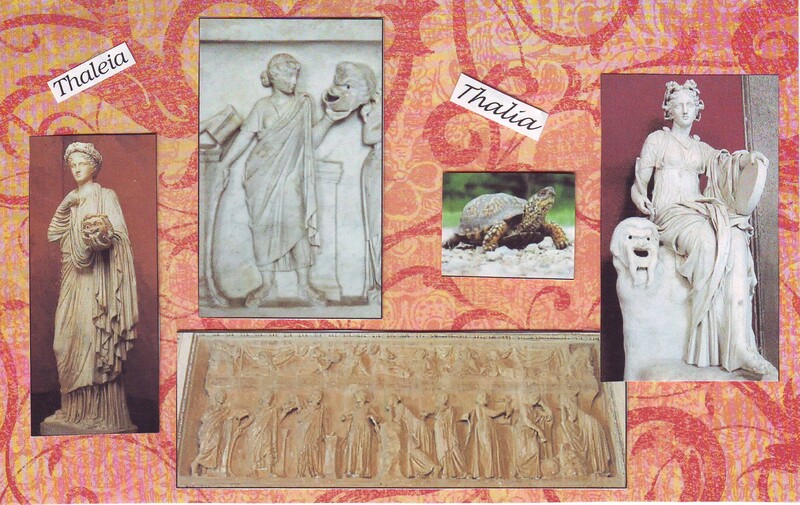 SoulCollage is great for deeper processing of the unconscious. The images can be found from magazines and catalogues, Pinterest and on-line clip art, one’s won paintings and drawings. The Art to the 5th Academy has wonderful videos and postings for inspiration and for sharing. Wonderful to see your integration of SoulCollage® with Documented Life and Art Journaling. 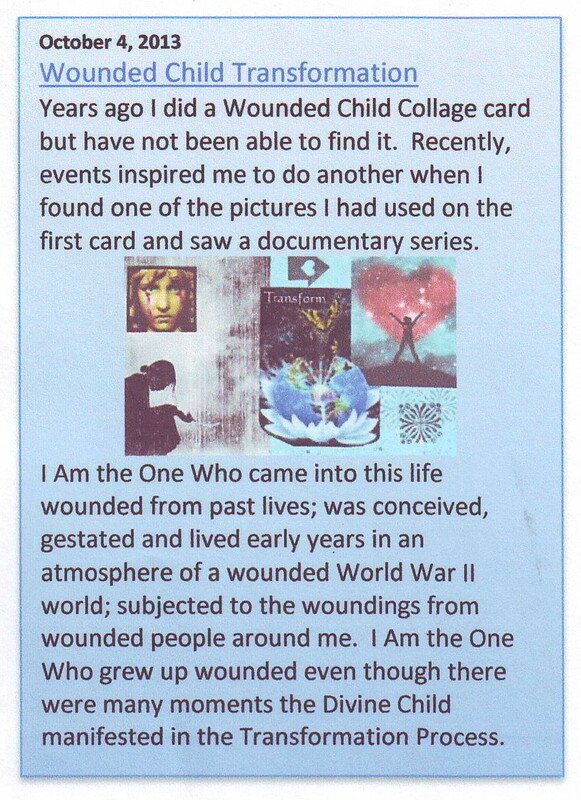 I have been combining SoulCollage® with phototherapy and parts of the Intensive Journal process (Ira Progoff’s work). I love combining different methods and creating unique ways for each person to write and make art…..